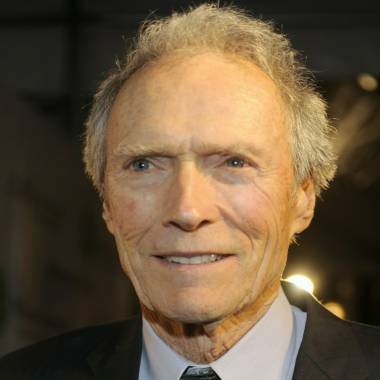 Clint Eastwood has thrown his support to Mitt Romney. Clint Eastwood officially endorsed Mitt Romney on Friday evening, during a fundraiser for the presumptive Republican candidate in Sun Valley, Idaho. According to a pool report, Eastwood told the crowd that he was backing the Republican candidate because "the country needs a boost." Eastwood, long considered one of Hollywood's most influential conservatives, had been sitting in the audience at a 325-person fundraiser when Romney spotted him and asked him to come to the stage. "There is a guy here from the world of acting," Romney said, "who has pursued his dreams in a very unusual way: He stood up to the industry and did things his own way." The crowd at the Sun Valley Resort lodge applauded and pointed at Eastwood, according to the pool report. Romney asked, "Can I get Clint Eastwood to come up here and say hi to everybody?" Eastwood greeted the candidate warmly and then took the microphone: "This is very nice to be here today, tonight, today. Let's clear the smoke. "I was doing a picture in early 2000s called 'Mystic River' in his home state," said Eastwood. "At that time, Gov. Romney was running for governor. I said, 'God, this guy is too handsome to be governor, but he does look like he could be president.' As the years have gone by, I'm beginning to think even more so that. He's going to restore a decent tax system that we need badly so that there is a fairness and people are not pitted against one another of whose paying taxes and who isn't. "Also, we don't want anybody taking away the Olympic medals, tax-wise, from the Olympic athletes," he continued. "The government is talking about getting a couple of nickels. It's now more important than ever that we need Gov. Romney, and I'm going to be voting for him as I know most of you will be. ... We've got to just spread the word and get the whole country behind this." Romney then took back the microphone: "He just made my day. What a guy." Earlier this year, Eastwood made waves when a Super Bowl commercial for Chrysler that he appeared in was interpreted as a nod to President Obama. The actor denied the allegation in interviews. He tersely told Fox: "l am certainly not politically affiliated with Mr. Obama. It was meant to be a message about job growth and the spirit of America." On Friday, there was no doubt that Eastwood was a Romney man. Will Kristen Stewart's scandal hurt 'Breaking Dawn Part 2' box office?